High performance Lubrita lubricants starts operation in Indian market. Lubrita India will trademark Lubrita brand of products in India and other neighbouring countries such as Bangladesh, Srilanka and Nepal. 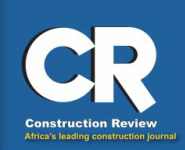 Our friends and collegues from Construction Review magazine placed Lubrita press release on line. To read article, please cilck here.